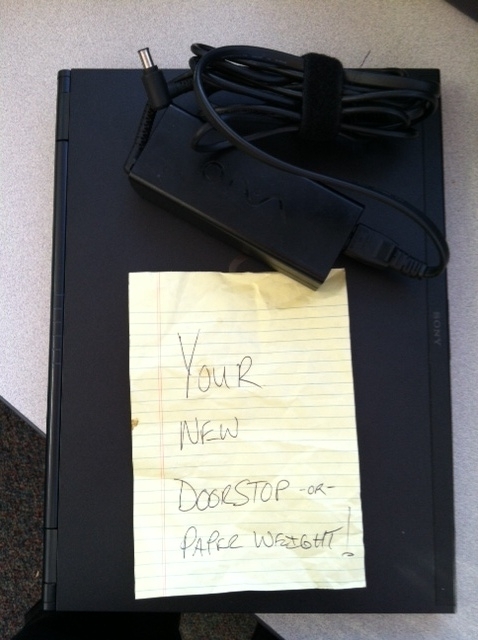 My laptop was waiting for me at work, this afternoon, with a note attached. I had a feeling it was a lost cause and not worth to get repaired....sigh. Replacement should be in tomorrow.